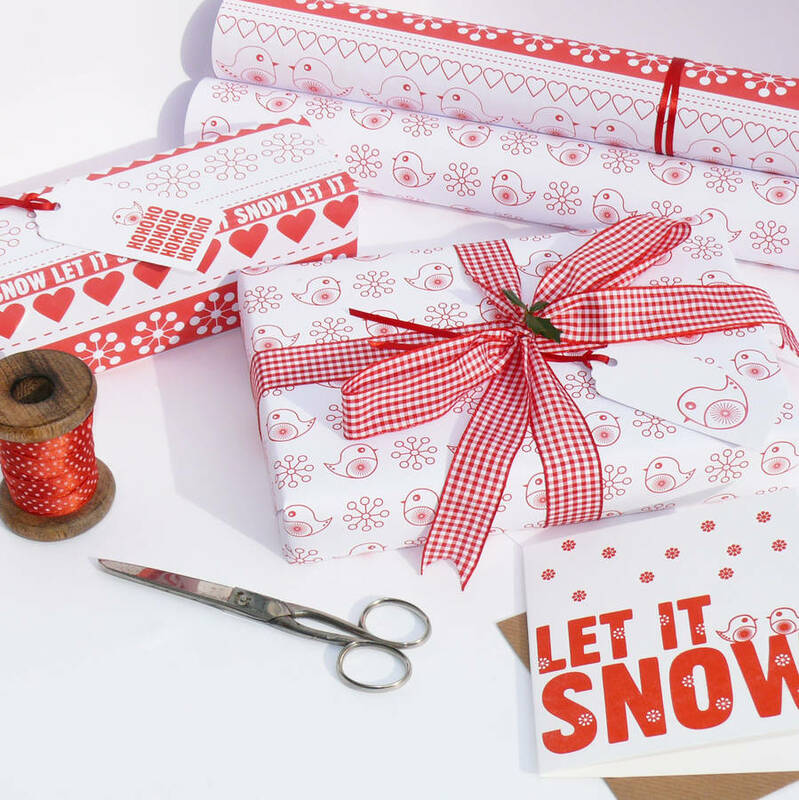 These stylish designs make any package look good so much so that they were featured in Country Living and Ideal Home magazines! 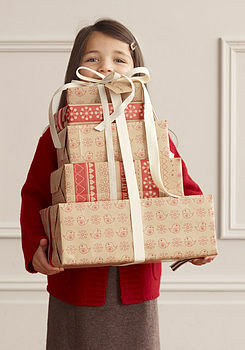 Each set will consist of four sheets of each designs (totalling 8 sheets) and eight gift tags in either white or kraft. 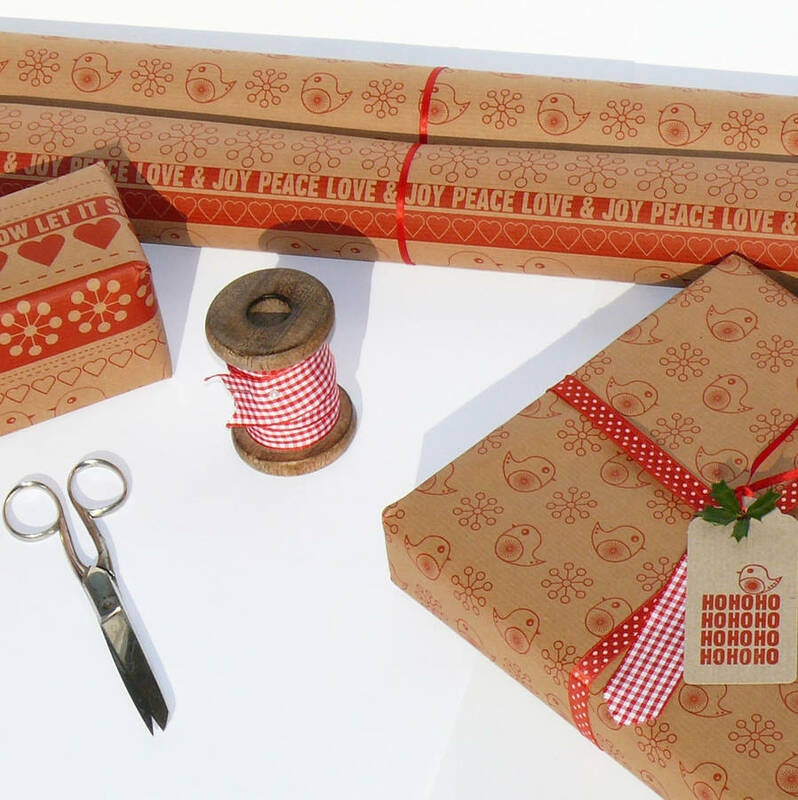 Allihopa has Christmas all wrapped up! 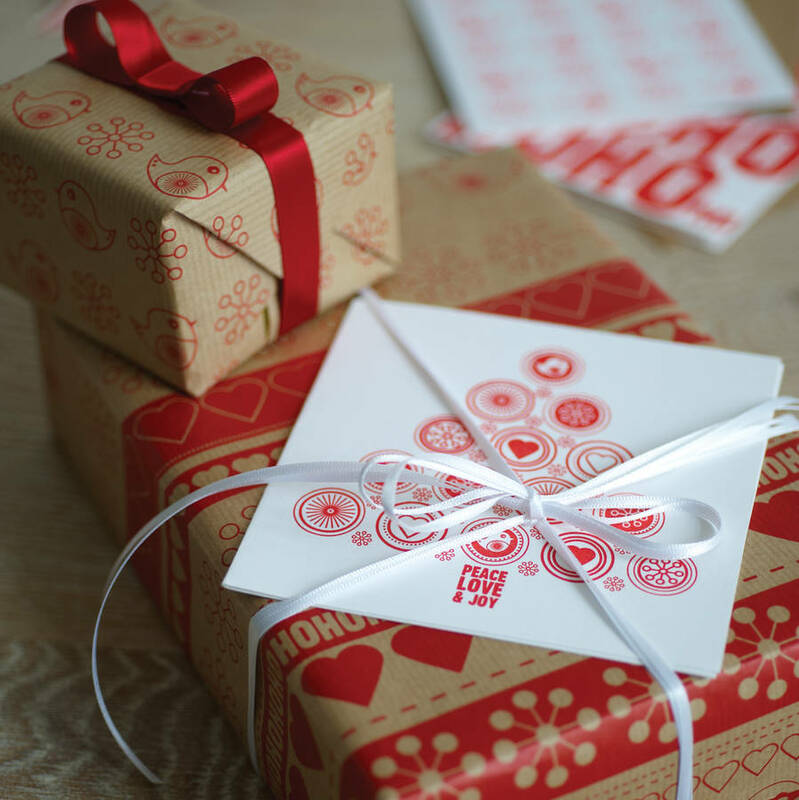 Please view our full range of wraps, gift tags, letterpress cards and artprints via our NOTHS shop. 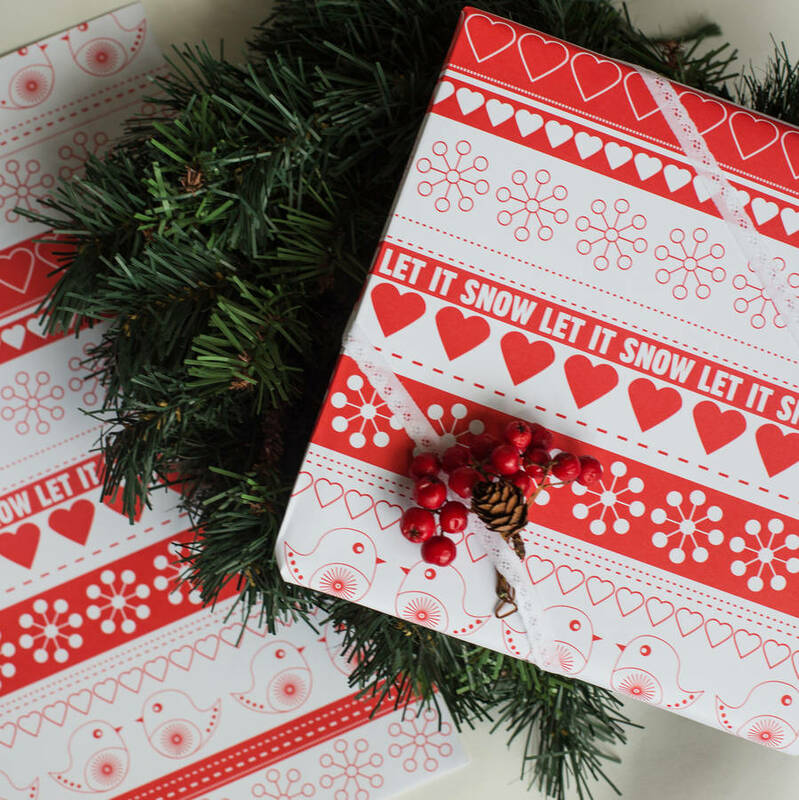 *PLEASE NOTE* The set comes with plain gift tags. Please specify colour choice when placing order. Please note that there are greater savings on additional sets and there is an option to have the wrap sent as rolled sheets in a postal tube (please select on option menu). 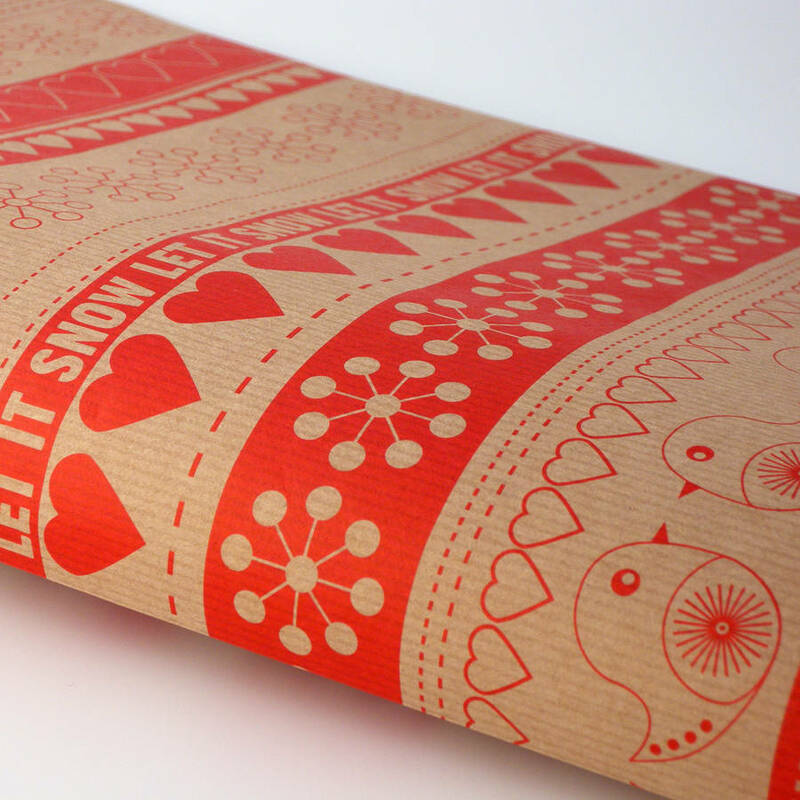 Gift wrap sheets are offset printed alcohol free using vegetable inks on uncoated white or kraft paper.There are two gift wrap designs (jolly robin and ribbon) that are either printed on either kraft paper or on uncoated white. 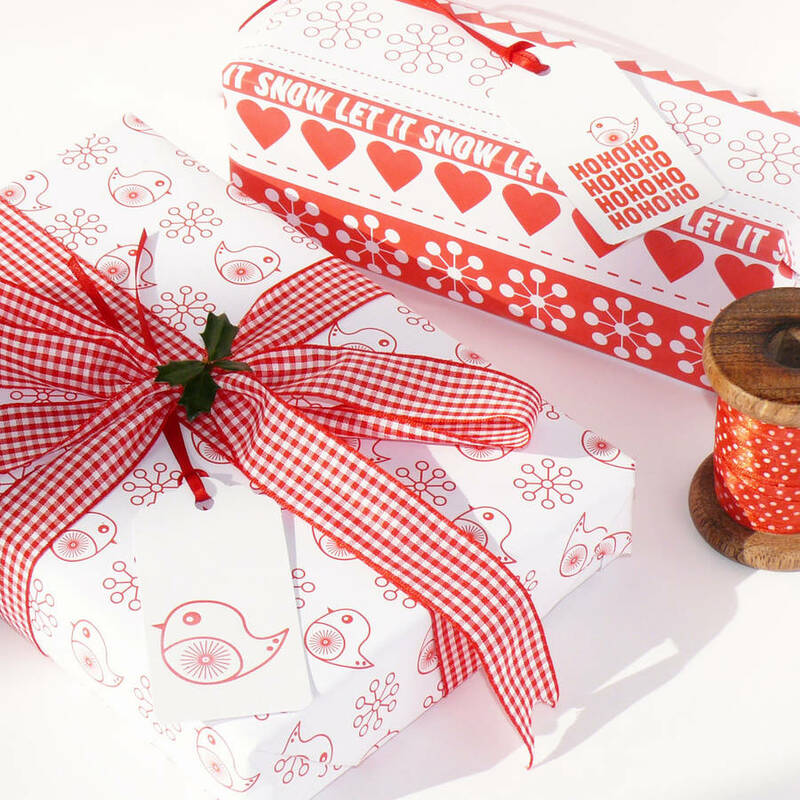 Each gift wrap sheet measures 50x70cm. 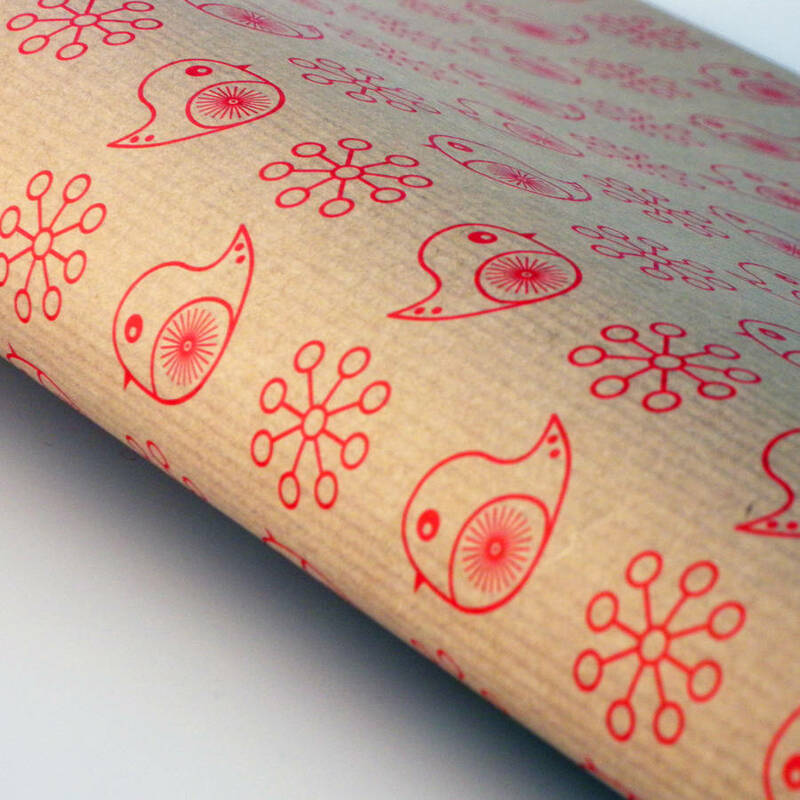 Gift wrap supplied folded 25cm x 35cm (unless postal tube option is selected). 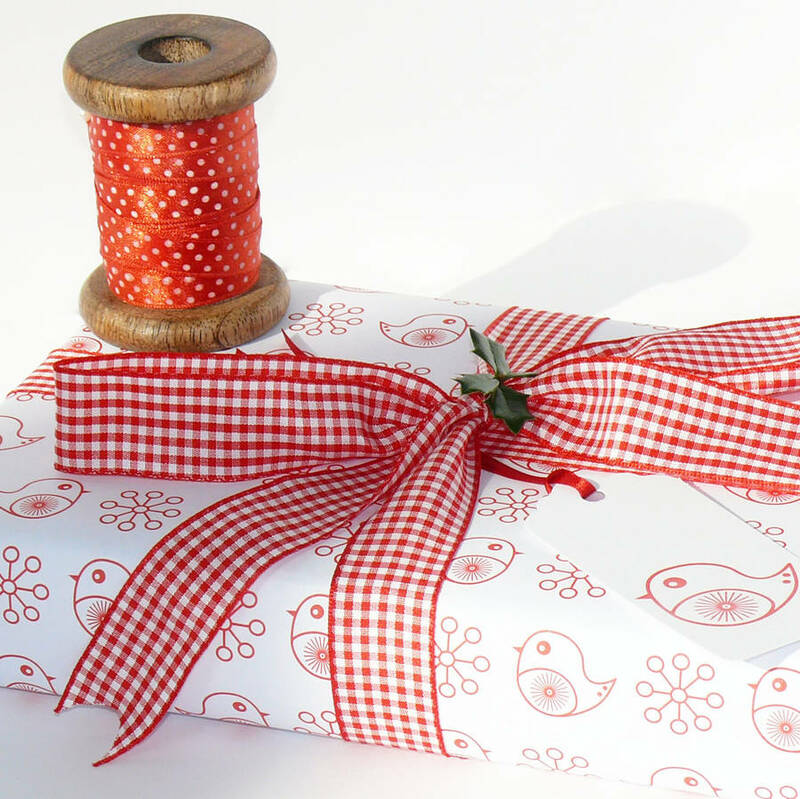 Each gift tag measures 4.4x9cm and is supplied with red satin ribbon.